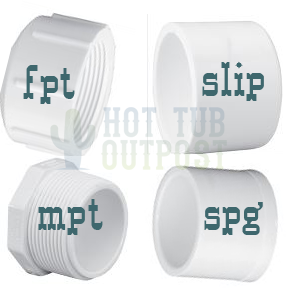 PVC caps and plugs for hot tub manifolds and plumbing repairs. Caps go over the pipe or hose opening and PVC plugs go inside. See our other Schedule 40 PVC fittings and plumbing parts.